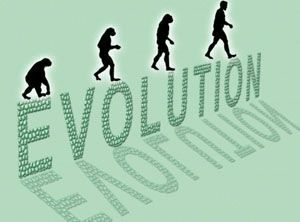 The term human in human evolution refers to genus Homo. This genus diverged from the Australopithecines about 2 million years ago in Africa. 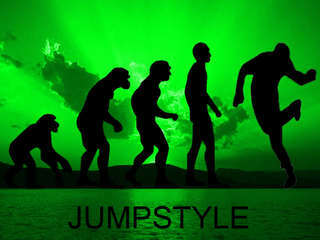 Scientists have estimated that humans deviated from their common ancestor chimpanzees about 5 to 7 million years ago. 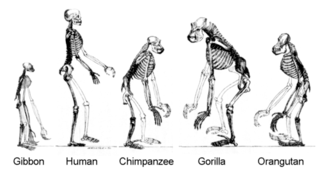 Due to the morphological and anatomical similarities between the apes and humans, scientists believed that the great apes were the closest biological relatives of human beings. Homo is the genus which includes modern man and its close relatives. 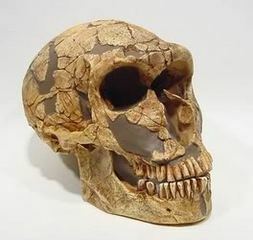 It is about 2.5 million years old and evolved with the Homo habilis species. Its appearance coincides with the evidence of stone tools and the beginning of the Lower Paleolithic Age. Homo habilis, Homo rudolfensis, Homo antecessor, Homo cepranensis, Homo neanderthalensis, Homo erectus, Homo heidelbergensis, Homo georgicus, Homo ergaster, Homo rhodesiensis, Homo sapiens andHomo floresiensis were the species from the genus homo. Except Homo sapiens, all species have become extinct. Homo neanderthalensis and Homo floresiensis who were the last surviving species, disappeared around 12,000 to 24,000 years ago respectively. Humans first evolved in Africa, and much of human evolution occurred on that continent. The fossils of early humans who lived between 6 and 2 million years ago come entirely from Africa. Early human fossils and archeological remains offer the most important clues about this ancient past. These remains include bones, tools and any other evidence (such as footprints, evidence of hearths, or butchery marks on animal bones) left by earlier people. Usually, the remains were buried and preserved naturally. Onefossil discovery above all has transformed views of how we became human. But who was Lucy, and why is she so important to human evolution? Lucy was discovered in 1974 by anthropologist Professor Donald Johanson and his student Tom Gray in a maze of ravines at Hadar in northern Ethiopia. Johanson and Gray were out searching the scorched terrain for animal bones in the sand, ash and silt when they spotted a tiny fragment of arm bone. Discovery of a lifetime Johanson immediately recognised it as belonging to a hominid. As they looked up the slope, they saw more bone fragments: ribs, vertebrae, thighbones and a partial jawbone. They eventually unearthed 47 bones of a skeleton – nearly 40% of a hominid, or humanlike creature, that lived around 3.2 million years ago. Based on its small size, and pelvic shape, they concluded it was female and named it ‘Lucy’ after ‘Lucy in the Sky with Diamonds’, the Beatles song playing on the radio when Johanson and his team were celebrating the discovery back at camp. 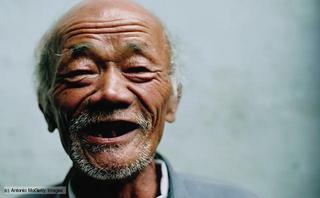 The rare laughing species The humans are known to possess a rare quality that distinguishes them from the rest of the animals: smile and laughter!